The New Year of 2018 has brought some unexpected challenges. Or were they? We have belligerent bullies with their fingers on their nuclear buttons. We have an NHS in crisis, with corridor-queues of urgent frail, elderly, unwell and a month of cancelled elective operations. And we have winter storms, fallen trees, fractured power-lines, and threatened floods – all being handled rather well by people who are trained to manage the unexpected. Which is the title of this rather interesting book that talks a lot about HROs. “H” stands for High. “O” stands for Organisation. What does R stand for? Rhetoric? Rigidity? Resistance? Watching the news might lead one to suggest these words would fit … but they are not the answer. “R” stands for Reliability and “R” stands for Resilience … and they are linked. Think of a global system that is so reliable that we all depend on it, everyday. The Global Positioning System or the Internet perhaps. We rely on them because they serve a need and because they work. Reliably and resiliently. Both the Internet and the GPS were designed and built to meet the needs of billions and to be reliable and resilient. They were both created by an army of unsung heroes called systems engineers – who were just doing their job. The job they were trained to do. The NHS serves a need – and often an urgent one, so it must also be reliable. But it is not. The NHS needs to be resilient. It must cope with the ebb and flow of seasonal illness. But it does not. And that is because the NHS has not been designed to be either reliable or resilient. 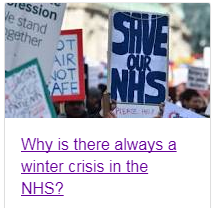 And that is because the NHS has not been designed. And that is because the NHS does not appear to have enough health care systems engineers trained to do that job. But systems engineering is a mature discipline, and it works just as well inside health care as it does outside. And to support that statement, here is evidence of what happened after a team of NHS clinicians and managers were trained in the basics of HCSE. 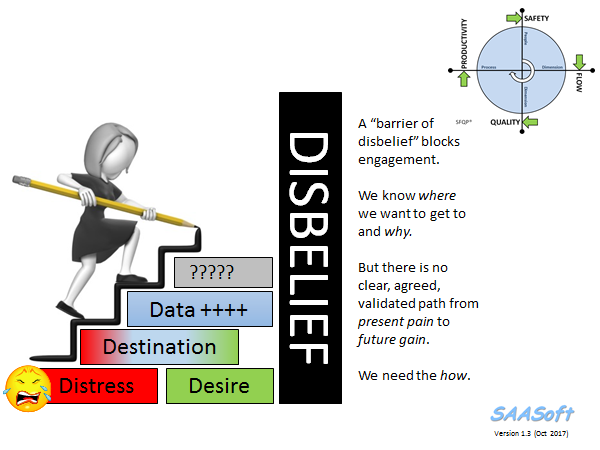 So the gap seems to be just an awareness/ability gap … which is a bridgeable one. Who would like to train to be a Health Case Systems Engineer and to join the growing community of HCSE practitioners who have the potential to be the future unsung heroes of the NHS? PS. 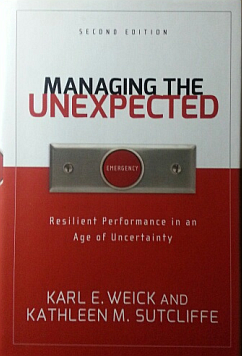 “Managing the Unexpected” is an excellent introduction to SE. Posted in Flow, Healthcare, Productivity, Quality, Resilience, Safety, Training | Comments Off on H.R.O. The Elephant in the Room is an English-language metaphorical idiom for an obvious problem or risk no one wants to discuss. And the undiscussability is also undiscussable. So the problem or risk persists. And people come to harm as a result. Which is not the intended outcome. So why do we behave this way? Perhaps it is because the problem looks too big and too complicated to solve in one intuitive leap, and we give up and label it a “wicked problem”. 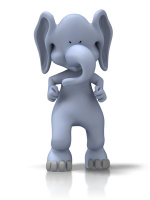 The well known quote “When eating an elephant take one bite at a time” is attributed to Creighton Abrams, a US Chief of Staff. It says that even seemingly “impossible” problems can be solved so long as we proceed slowly and carefully, in small steps, learning as we go. 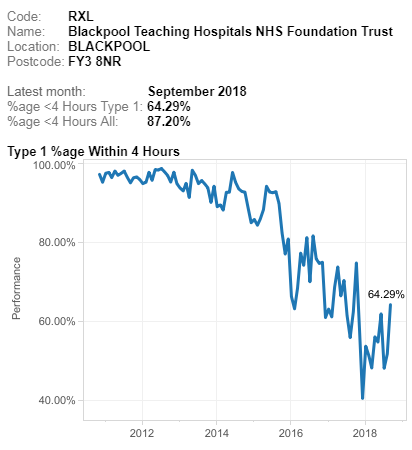 And the continued decline of the NHS UK Unscheduled Care performance seems to be an Elephant-in-the-Room problem, as shown by the monthly A&E 4-hour performance over the last 10 years and the fact that this chart is not published by the NHS. Red = England, Brown=Wales, Grey=N.Ireland, Purple=Scotland. This week I experienced a bite of this Elephant being taken and chewed on. The context was a Flow Design – Practical Skills – One Day Workshop and the design challenge posed to the eager delegates was to improve the quality and efficiency of a one stop clinic. A seemingly impossible task because the delegates reported that the queues, delays and chaos that they experienced in the simulated clinic felt very realistic. Which means that this experience is accepted as inevitable, and is impossible to improve without more resources, but financial cuts prevent that, so we have to accept the waits. At the end of the day their belief had been shattered. The queues, delays and chaos had evaporated and the cost to run the new one stop clinic design was actually less than the old one. And when we combined the quality metrics with the cost metrics and calculated the measured improvement in productivity; the answer was over 70%! The delegates experienced it all first-hand. They did the diagnosis, design, and delivery using no more than squared-paper and squeaky-pen. And at the end they were looking at a glaring mismatch between their rhetoric and the reality. The “impossible to improve without more money” hypothesis lay in tatters – it had been rationally, empirically and scientifically disproved. I’d call that quite a big bite out of the Elephant-in-the-Room. So if you have a healthy appetite for Elephant-in-the-Room challenges, and are not afraid to try something different, then there is a whole menu of nutritious food-for-thought at a FISH&CHIPs® practical skills workshop. An effective way to improve is to learn from others who have demonstrated the capability to achieve what we seek. To learn from success. Another effective way to improve is to learn from those who are not succeeding … to learn from failures … and that means … to learn from our own failings. But from an early age we are socially programmed with a fear of failure. The training starts at school where failure is not tolerated, nor is challenging the given dogma. Paradoxically, the effect of our fear of failure is that our ability to inquire, experiment, learn, adapt, and to be resilient to change is severely impaired! So further failure in the future becomes more likely, not less likely. Oops! Fortunately, we can develop a healthier attitude to failure and we can learn how to harness the gap between intent and impact as a source of energy, creativity, innovation, experimentation, learning, improvement and growing success. And health care provides us with ample opportunities to explore this unfamiliar terrain. The creative domain of the designer and engineer. 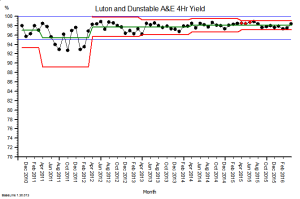 The scatter plot below is a snapshot of the A&E 4 hr target yield for all NHS Trusts in England for the month of July 2016. The required “constitutional” performance requirement is better than 95%. The delivered whole system average is 85%. The majority of Trusts are failing, and the Trust-to-Trust variation is rather wide. Oops! Q1: How can one Trust achieve 98% and yet another can do no better than 64%? Q2: What can all Trusts learn from these high and low flying outliers? A snapshot-in-time tells us very little about how the system and the set of interconnected parts is behaving-over-time. We need to examine the time-series charts of the outliers, just as we would ask for the temperature, blood pressure and heart rate charts of our patients. Here are the last six years by month A&E 4 hr charts for a sample of the high-fliers. 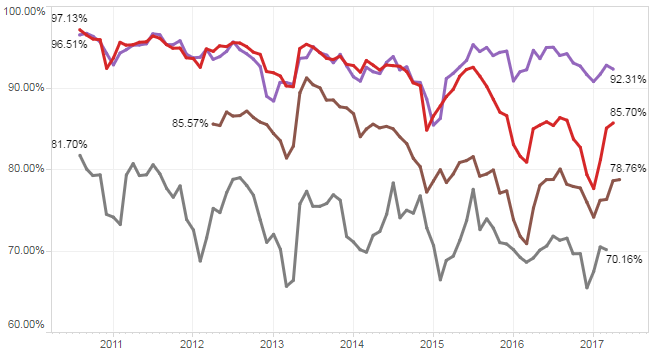 They are all slightly different and we get the impression that the lower two are struggling more to stay aloft more than the upper two … especially in winter. And here are the last six years by month A&E 4 hr charts for a sample of the low-fliers. The Mark I Eyeball Test results are clear … these swans are falling out of the sky! So we need to generate some testable hypotheses to explain these visible differences, and then we need to examine the available evidence to test them. One hypothesis is “rising demand”. It says that “the reason our A&E is failing is because demand on A&E is rising“. Another hypothesis is “slow flow”. It says that “the reason our A&E is failing is because of the slow flow through the hospital because of delayed transfers of care (DTOCs)“. 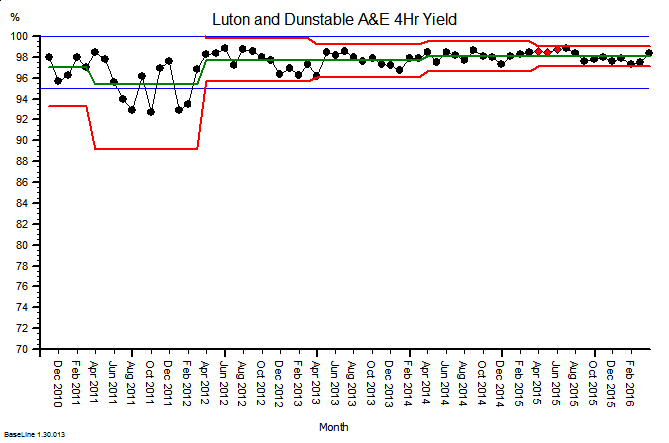 So, if these hypotheses account for the behaviour we are observing then we would predict that the “high fliers” are (a) diverting A&E arrivals elsewhere, and (b) reducing admissions to free up beds to hold the DTOCs. Let us look at the freely available data for the highest flyer … the green dot on the scatter gram … code-named “RC9”. 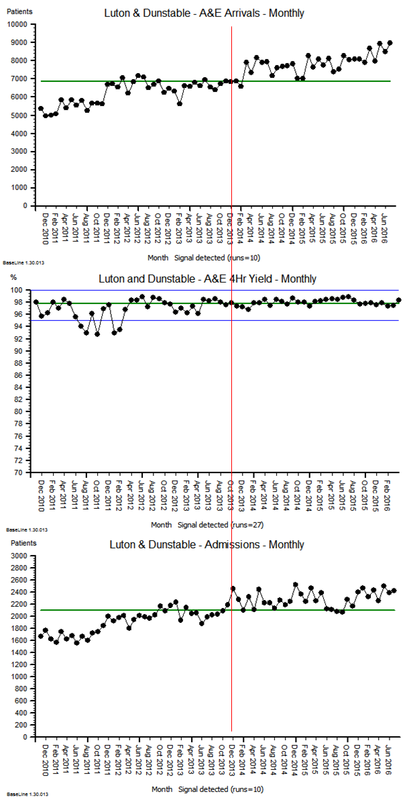 The top chart is the A&E arrivals per month. The middle chart is the A&E 4 hr target yield per month. The bottom chart is the emergency admissions per month. Both arrivals and admissions are increasing, while the A&E 4 hr target yield is rock steady! 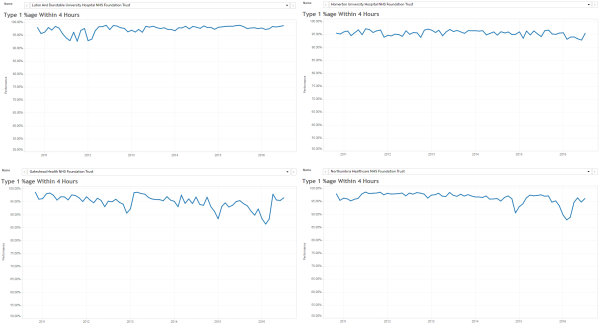 And arranging the charts this way allows us to see the temporal patterns more easily (and the images are deliberately arranged to show the overall pattern-over-time). Patterns like the change-for-the-better that appears in the middle of the winter of 2013 (i.e. 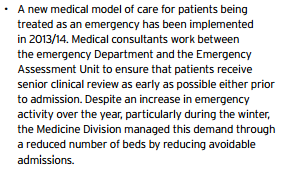 when many other trusts were complaining that their sagging A&E performance was caused by “winter pressures”). The objective evidence seems to disprove the “rising demand”, “slow flow” and “winter pressure” hypotheses! So what can we learn from our failure to adequately explain the reality we are seeing? The trust code-named “RC9” is Luton and Dunstable, and it is an average district general hospital, on the surface. So to reveal some clues about what actually happened there, we need to read their Annual Report for 2013-14. It is a public document and it can be downloaded here. 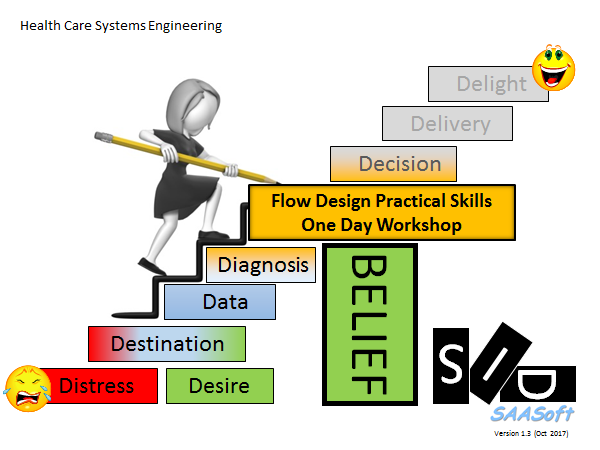 … it is a treasure trove of well-known examples of good system flow design. Q: How many black swans does it take to disprove the hypothesis that “all swans are white”. “RC9” is a black swan. An outlier. A positive deviant. “RC9” has disproved the “impossibility” hypothesis. And there is another flock of black swans living in the North East … in the Newcastle area … so the “Big cities are different” hypothesis does not hold water either. The challenge here is a human one. A human factor. Our learned fear of failure. Learning-how-to-fail is the way to avoid failing-how-to-learn. And to read more about that radical idea I strongly recommend reading the recently published book called Black Box Thinking by Matthew Syed. It starts with a powerful story about the impact of human factors in health care … and here is a short video of Martin Bromiley describing what happened. The “black box” that both Martin and Matthew refer to is the one that is used in air accident investigations to learn from what happened, and to use that learning to design safer aviation systems. 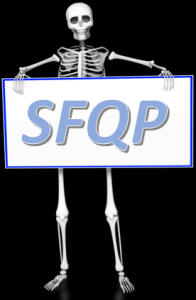 Martin Bromiley has founded a charity to support the promotion of human factors in clinical training, the Clinical Human Factors Group. So if we can muster the courage and humility to learn how to do this in health care for patient safety, then we can also learn to how do it for flow, quality and productivity. Our black swan called “RC9” has demonstrated that this goal is attainable. And the body of knowledge needed to do this already exists … it is called Health and Social Care Systems Engineering (HSCSE). 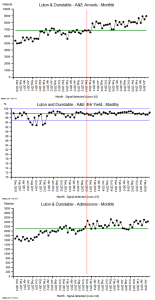 Postscript: And I am pleased to share that Luton & Dunstable features in the House of Commons Health Committee report entitled Winter Pressures in A&E Departments that was published on 3rd Nov 2016. These points describe rather well the essential elements of a pull design, which is the antidote to the rather more prevalent pressure cooker design. The most useful tool that a busy operational manager can have is a reliable and responsive early warning system (EWS). One that alerts when something is changing and that, if missed or ignored, will cause a big headache in the future. Rather like the radar system on an aircraft that beeps if something else is approaching … like another aircraft or the ground! Operational managers are responsible for delivering stuff on time. So they need a radar that tells them if they are going to deliver-on-time … or not. And their on-time-delivery EWS needs to alert them soon enough that they have time to diagnose the ‘threat’, design effective plans to avoid it, decide which plan to use, and deliver it. So what might an effective EWS for a busy operational manager look like? It needs to be reliable. No missed threats or false alarms. It needs to be visible. No tomes of text and tables of numbers. It needs to be simple. Easy to learn and quick to use. And what is on offer at the moment? This is a table that is coloured red, amber and green. Red means ‘failing’, green means ‘not failing’ and amber means ‘not sure’. So this meets the specification of visible and simple, but it is reliable? It appears not. RAG charts do not appear to have helped to solve the problem. A RAG chart is generated using historic data … so it tells us where we are now, not how we got here, where we are going or what else is heading our way. It is a snapshot. One frame from the movie. Better than complete blindness perhaps, but not much. 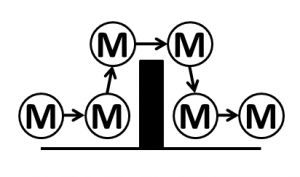 This is a statistical process control chart and is a more complicated beast. It is a chart of how some measure of performance has changed over time in the past. So like the RAG chart it is generated using historic data. The advantage is that it is not just a snapshot of where were are now, it is a picture of story of how we got to where we are, so it offers the promise of pointing to where we may be heading. It meets the specification of visible, and while more complicated than a RAG chart, it is relatively easy to learn and quick to use. So that is much more helpful than a RAG chart (which in this case would have been green every month because the average was above the minimum acceptable level). 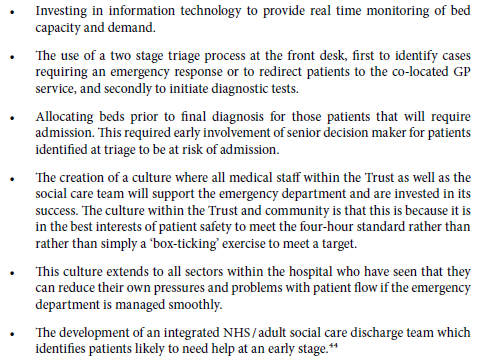 So why haven’t SPC charts replaced RAG charts in every NHS Trust Board Report? Could there be a fly-in-the-ointment? The answer is “Yes” … there is. SPC charts are a quality audit tool. They were designed nearly 100 years ago for monitoring the output quality of a process that is already delivering to specification (like the one above). They are designed to alert the operator to early signals of deterioration, called ‘assignable cause signals’, and they prompt the operator to pay closer attention and to investigate plausible causes. SPC charts are not designed for predicting if there is a flow problem looming over the horizon. They are not designed for flow metrics that exhibit expected cyclical patterns. They are not designed for monitoring metrics that have very skewed distributions (such as length of stay). They are not designed for metrics where small shifts generate big cumulative effects. They are not designed for metrics that change more slowly than the frequency of measurement. And these are exactly the sorts of metrics that a busy operational manager needs to monitor, in reality, and in real-time. 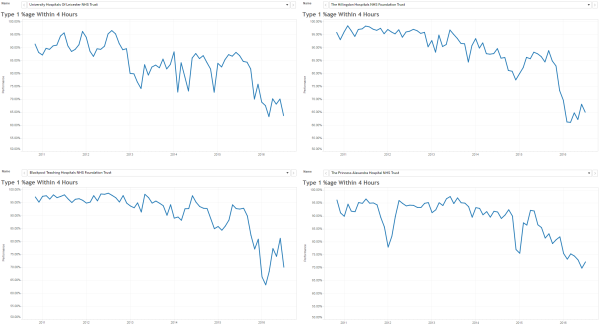 Demand and activity both show strong cyclical patterns. Lead-times (e.g. length of stay) are often very skewed by variation in case-mix and task-priority. 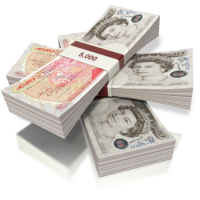 Waiting lists are like bank accounts … they show the cumulative sum of the difference between inflow and outflow. That simple fact invalidates the use of the SPC chart. Small shifts in demand, activity, income and expenditure can lead to big cumulative effects. So if we abandon our RAG charts and we replace them with SPC charts … then we climb out of the RAG frying pan and fall into the SPC fire. Oops! No wonder the operational managers and financial controllers have not embraced SPC. So is there an alternative that works better? 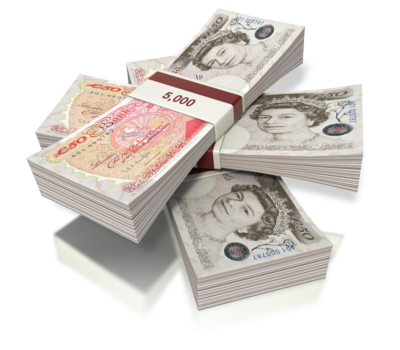 A more reliable EWS that busy operational managers and financial controllers can use? 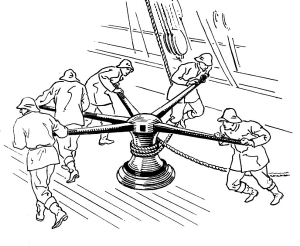 … building one of these Flow-Productivity Early Warning Systems is not as obvious as it might first appear. There are counter-intuitive traps for the unwary and the untrained. You may need the assistance of a health care systems engineer (HCSE). Culture – cause or effect? The Harvard Business Review is worth reading because many of its articles challenge deeply held assumptions, and then back up the challenge with the pragmatic experience of those who have succeeded to overcome the limiting beliefs. So the heading on the April 2016 copy that awaited me on my return from an Easter break caught my eye: YOU CAN’T FIX CULTURE. The successful leaders of major corporate transformations are agreed … the cultural change follows the technical change … and then the emergent culture sustains the improvement. The examples presented include the Ford Motor Company, Delta Airlines, Novartis – so these are not corporate small fry! The evidence suggests that the belief of “we cannot improve until the culture changes” is the mantra of failure of both leadership and management. A health care system is characterised by a culture of risk avoidance. And for good reason. It is all too easy to harm while trying to heal! Primum non nocere is a core tenet – first do no harm. But, change and improvement implies taking risks – and those leaders of successful transformation know that the bigger risk by far is to become paralysed by fear and to do nothing. Continual learning from many small successes and many small failures is preferable to crisis learning after a catastrophic failure! 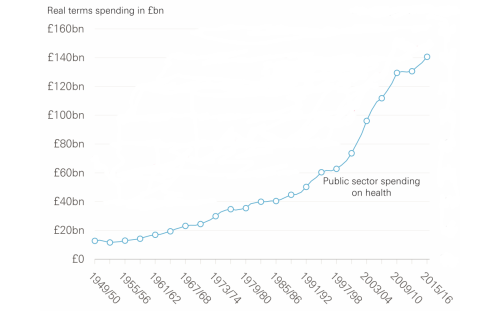 The UK healthcare system is in a state of chronic chaos. The evidence is there for anyone willing to look. And waiting for the NHS culture to change, or pushing for culture change first appears to be a guaranteed recipe for further failure. The HBR article suggests that it is better to stay focussed; to work within our circles of control and influence; to learn from others where knowledge is known, and where it is not – to use small, controlled experiments to explore new ground. And I know this works because I have done it and I have seen it work. Just by focussing on what is important to every member on the team; focussing on fixing what we could fix; not expecting or waiting for outside help; gathering and sharing the feedback from patients on a continuous basis; and maintaining patient and team safety while learning and experimenting … we have created a micro-culture of high safety, high efficiency, high trust and high productivity. And we have shared the evidence via JOIS. The micro-culture required to maintain the safety, flow, quality and productivity improvements emerged and evolved along with the improvements. It was part of the effect, not the cause. So the concept of ‘fix the system design flaws and the continual improvement culture will emerge’ seems to work at macro-system and at micro-system levels. 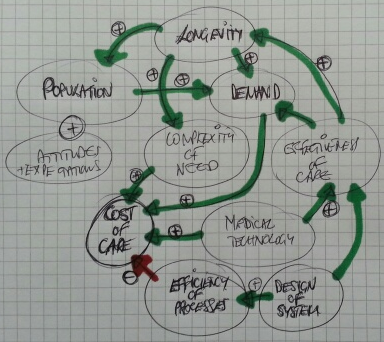 We just need to learn how to diagnose and treat healthcare system design flaws. And that is known knowledge. So what is the next excuse? Too busy? Posted in Examples, Flow, Healthcare, Improvementology, Productivity, Reflections, Safety, Stories, Techniques, Theory, Training, Trust | Comments Off on Culture – cause or effect? 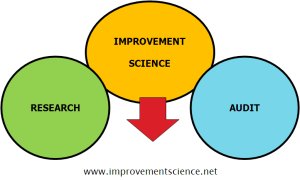 A question that is often asked by doctors in particular is “What is the difference between Research, Audit and Improvement Science?“. It is a very good question and the diagram captures the essence of the answer. Improvement science is like a bridge between research and audit. Research provides us with new knowledge and tells us what the right stuff is. Improvement Science provides us with a way to design our system to do the right stuff. Audit provides us with feedback and tells us if we are doing the right stuff right. And research is often a complicated and expensive process because to do it well requires careful study design, a lot of discipline, and usually large study and control groups. It is an effective way to help us to know what the right stuff is but only in a generic sense. Audit requires a standard to compare with and to know if what we are doing is acceptable, or not. There is no randomisation between groups but we still need a metric and we still need to measure what is happening in our local reality. We then compare our local experience with the global standard and, because variation is inevitable, we have to use statistical tools to help us perform that comparison. And very often audit focuses on avoiding failure; in other words the standard is a ‘minimum acceptable standard‘ and as long as we are not failing it then that is regarded as OK. If we are shown to be failing then we are in trouble! And very often the most sophisticated statistical tool used for audit is called an average. We measure our performance, we average it over a period of time (to remove the troublesome variation), and we compare our measured average with the minimum standard. And if it is below then we are in trouble and if it is above then we are not. We have no idea how reliable that conclusion is though because we discounted any variation. A perfect example of this target-driven audit approach is the A&E 95% 4-hour performance target. The 4-hours defines the metric we are using; the time interval between a patient arriving in A&E and them leaving. It is called a lead time metric. And it is easy to measure. 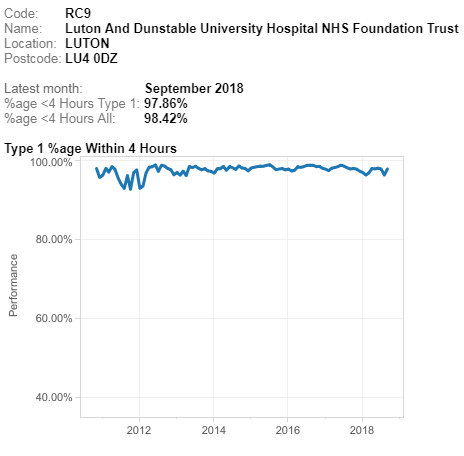 The 95% defined the minimum acceptable average number of people who are in A&E for less than 4-hours and it is usually aggregated over three months. And it is easy to measure. 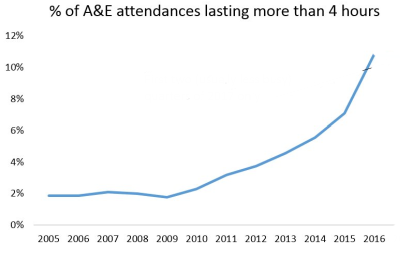 So, if about 200 people arrive in a hospital A&E each day and we aggregate for 90 days that is about 18,000 people in total so the 95% 4-hour A&E target implies that we accept as OK for about 900 of them to be there for more than 4-hours. Do the 900 agree? Do the other 17,100? Has anyone actually asked the patients what they would like? The problem with this “avoiding failure” mindset is that it can never lead to excellence. It can only deliver just above the minimum acceptable. That is called mediocrity. 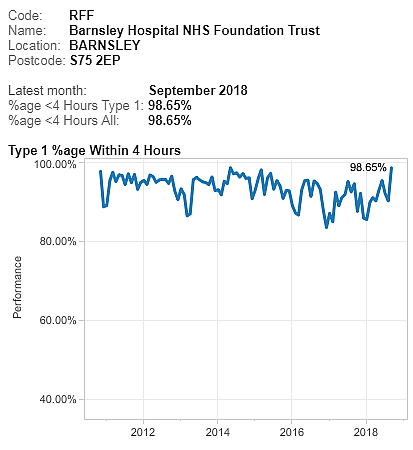 It is perfectly possible for a hospital to deliver 100% on its A&E 4 hour target by designing its process to ensure every one of the 18,000 patients is there for exactly 3 hours and 59 minutes. It is called a time-trap design. We can hit the target and miss the point. And what is more the “4-hours” and the “95%” are completely arbitrary numbers … there is not a shred of research evidence to support them. So just this one example illustrates the many problems created by having a gap between research and audit. And that is why we need Improvement Science to help us to link them together. We need improvement science to translate the global knowledge and apply it to deliver local improvement in whatever metrics we feel are most important. 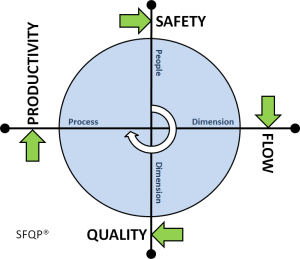 Safety metrics, flow metrics, quality metrics and productivity metrics. Simultaneously. To achieve system-wide excellence. 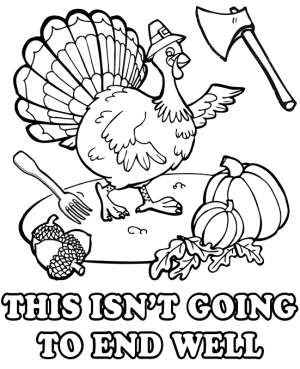 For everyone, everywhere. When we learn Improvement Science we learn to measure how well we are doing … we learn the power of measurement of success … and we learn to avoid averaging because we want to see the variation. And we still need a minimum acceptable standard because we want to exceed it 100% of the time. And we want continuous feedback on just how far above the minimum acceptable standard we are. We want to see how excellent we are, and we want to share that evidence and our confidence with our patients. We want to agree a realistic expectation rather than paint a picture of the worst case scenario. And when we learn Improvement Science we will see very clearly where to focus our improvement efforts. 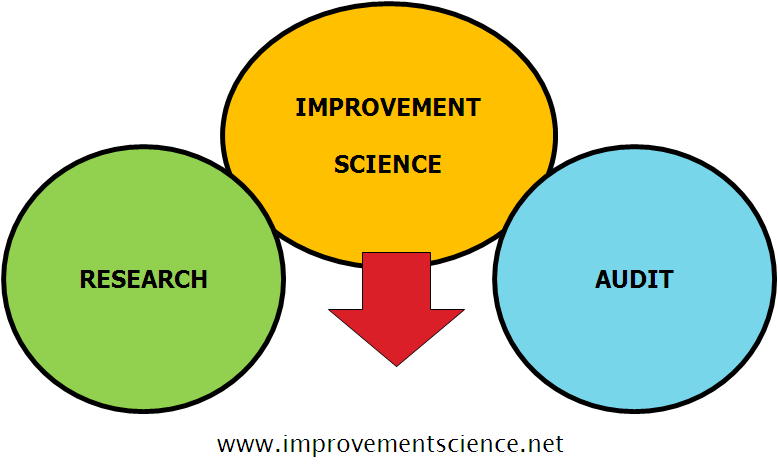 Improvement Science is the bit in the middle. 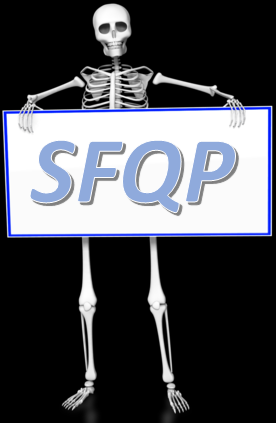 Stop Press: There is currently an offer of free on-line foundation training in improvement science for up to 1000 doctors-in-training … here … and do not dally because places are being snapped up fast! 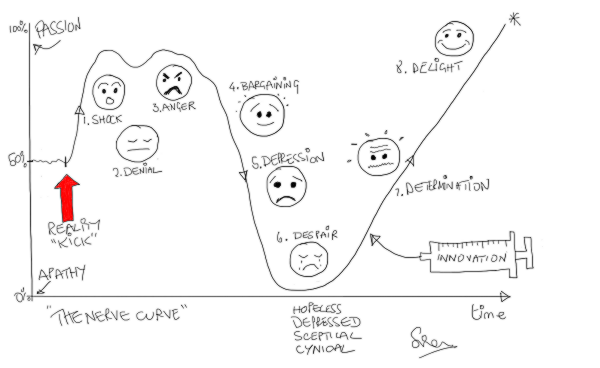 The emotional journey of change feels like a roller-coaster ride and if we draw as an emotion versus time chart it looks like the diagram above. The toughest part is getting past the low point called the Well of Despair and doing that requires a combination of inner strength and external support. The external support comes from an experienced practitioner who has been through it … and survived … and has the benefit of experience and hindsight. What happens as we apply the IS principles, techniques and tools that we have diligently practiced and rehearsed? We discover that … they work! And all the fence-sitters and the skeptics see it too. We start to turn the corner and what we feel next is that the back pressure of resistance falls a bit. It does not go away, it just gets less. And that means that the next test of change is a bit easier and we start to add more evidence that the science of improvement does indeed work and moreover it is a skill we can learn, demonstrate and teach. We have now turned the corner of disbelief and have started the long, slow, tough climb through mediocrity to excellence. The objective evidence that dramatic improvements in safety, flow, quality and productivity are indeed possible and that the skills can be learned will trigger those most threatened by the change to fight harder to defend their disproved rhetoric. And do not underestimate how angry and nasty they can get! We can too easily become complacent and believe that the rest will follow easily. It doesn’t. We may have nailed some of the easier niggles to be sure … but there are much more challenging ones ahead. The climb to excellence is a steep learning curve … all the way. But the rewards get bigger and bigger as we progress so it is worth it. We risk over-estimating our capability and then attempting to take on the tougher improvement assignments without the necessary training, practice, rehearsal and support. If we do that we will crash and burn. It is like a game of snakes and ladders. Our IS coach is there to help us up the ladders and to point out where the slippery snakes are lurking. So before embarking on this journey be sure to find a competent IS coach. 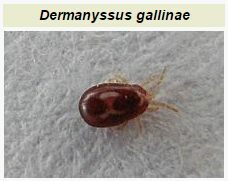 They are easy to identify because they will have a portfolio of case studies that they have done themselves. 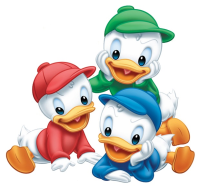 They have the evidence of successful outcomes and that they can walk-the-talk. And avoid anyone who talks-the-walk but does not have a portfolio of evidence of their own competence. 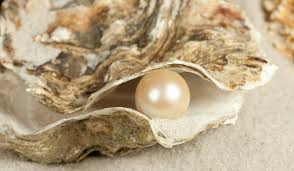 Their Siren song will lure you towards the submerged Rocks of Disappointment and they will disappear like morning mist when you need them most – when it comes to the toughest part – turning the corner. You will be abandoned and fall into the Well of Despair. So ask your IS coach for credentials, case studies and testimonials and check them out.